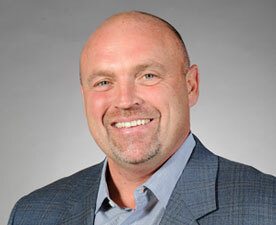 Ed Meichsner is the Vice President, Facilities Operations for True North Sports + Entertainment. He joined True North just prior to the opening of the Bell MTS Place in 2004. With over 30 years of experience, Ed has led operations at True North and other large sporting facilities in the city. Proud of his involvement in planning and executing large scale events, Ed was an instrumental team member for the committees that brought the 1999 Pan Am and Grey Cup games to Winnipeg. In addition to his experience in venues, Ed is committed to ensuring all True North patrons and employees have a safe experience at all our facilities. As chair of True North’s health and safety committee, Ed strives to educate our stakeholders about safety initiatives, and ensures our venues meet and exceed environmental and sustainability industry standards. Ed is happily married to his wife Lynda. They have three kids Jack and Grace (twins), and another daughter, Olivia.